The concept of Exceeding Expectations is charming wisdom that hijacks good strategy. If your brand sets up the expectation that you will exceed my expectations, then you must consistently jump over a bar that you’ve set impossibly high, and keeps getting higher. It’s a vague promise with no true meaning—the ultimate failure of brand strategy. Good luck with that. Trump Hotel Toronto expected to exceed my expectations. Since it was also their promise to me, I expected to have my expectations exceeded. So when they exceeded my regular hotel expectations, they actually only met my expectations for their experience. They didn’t exceed my expectations because I expected them to exceed my expectations. Confused? Here’s another way to look at it. They bought into the mantra without respecting our relationship. How do I know they know the mantra but lack the understanding? They are so desperate to have me say they “exceed my expectations”, that anything less than exceeding my exceeded expectations—I gave them a 7 out of 10 on a couple of comment points—was deemed an operational disappointment. Promising and delivering world-class luxury service isn’t enough. They took the time (three times, actually) to apologize for merely meeting my exceeded expectations. Here’s the run down of the issues: 1) One staff member, whom I assume was a manager, wasn’t smiling at one time and was more concerned with the buffet he set up than taking a moment to say hi. 2) One morning I ordered breakfast to my room, and the omelette was slightly less cooked than I prefer. 3) I asked a staff member for directions within the hotel, and she didn’t know—it was her first day on the job. She asked a colleague and I was promptly on my way. None of these were serious, but on a post-experience guest survey—and because of the specific questions they ask in the survey—it drops the my perspective from flawless to a more human excellent. On the comment card, anything less than a 9 gets the attention of the GM. That’s right, a 9. Practically flawless execution of an exceeded expectation—an ill defined benchmark if there ever was one—is the only pass. I’ve struggled with my thoughts and comments. Perhaps it comes back to my preference for a more casual experience; I don’t appreciate all the pomp and ceremony within Five Diamonds. But that’s not it, because one of the things I loved about my experience was how easily staff respected and responded to my casual style within the delivery of their elegance. Perhaps it comes back to my simple requests; I didn’t really put them to the Five Diamond test. But that’s not it either, because they handled even the simplest requests with genuine grace and skill. So I suggest it’s because excellence is arbitrary. The only promise was to exceed, but what they were exceeding was left to my imagination (which I assure you can run wild, especially around customer experiences). The questions and standards by which they asked me to judge them didn’t reflect their clear promise. And that is what I expect from a brand—a clear promise. Excellence needs a benchmark by which it’s judged, and as a customer, I expect the brand to lead the way. Brand Strategy—and the experience you commit to deliver—should define the expectations you promise. And then it’s okay to exceed those. The phrase “exceeding expectations” is wonderful little tidbit of wisdom to encourage good staff who could use a reason to try a little harder. It’s the goal of empowerment—a great way to offer your team permission to use common sense in uncommon situations and put the customer first. It’s a great way to think about adding value to moments. Putting the phrase into your strategy and messaging is reckless. It’s a vague promise that says I can expect nothing specific, and yet anything is possible. And putting the onus on your customers to assess random expectations as exceeded shows you’re not in control. A brand strategy of Exceeding Expectations demonstrates a clear misunderstanding of how a brand strategy supports your vision and values, and how it should drive your culture. It shows that you are desperate to please—to give in at any cost—rather than honouring the relationship and promising an experience. It’s terribly vague while pretending to make a promise or set a standard. Exceeding expectations isn’t the benchmark you strive to reach; it’s the passion that drives your culture of service and your innovation behind the experience you’ve promised. 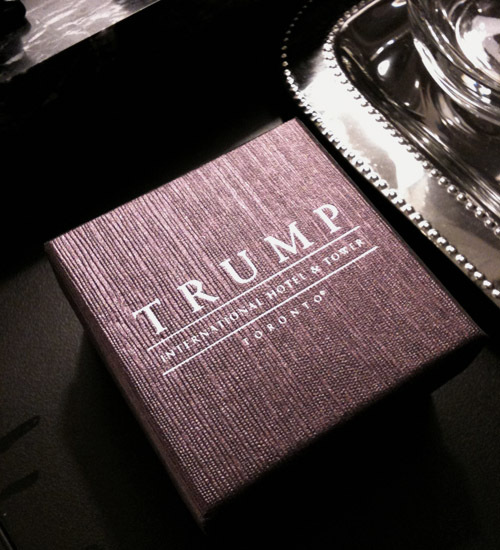 This entry was posted in Authenticity, Best Practices, Brand Experience, Customer Service, Diary and tagged Accountability, Brand Experience, Brand Strategy, Buzz words, Customer Service, Exceeding Expectations, Leadership, Relationships, Trump Hotel, Vision. Bookmark the permalink.